While it is not possible to prevent the spread of all infections and illnesses, effective illness management practices and maintaining high standards of hygiene significantly reduce the likelihood of children becoming ill. It is a fact of life that children in group care get sick. They have increased exposure to other children, and play closely with shared toys, in addition, children have lower resistance to germs than adults. There are some simple measures you can take to prevent your child from becoming sick and reduce the impact of the illness once it strikes. The first decision you need to make when your child is ill is whether they are too sick to send to child care. Many children with a mild illness, such as a cold, can attend child care without causing harm to themselves or the other children. Also keep in mind any hayfever like symptoms. Make sure you are familiar with our policy on sick children and never pressure us to accept your child if they are ill. Remember that it is our responsibility to maintain a healthy environment for all the other children, staff and families. 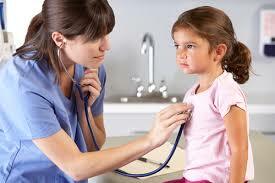 It is sensible to have a sick day contingency plan ready for the day your child is too sick to send to child care. Another good habit to get in to is to notify us about any illness that occurred the night before. Many children go to bed with mild symptoms and wake up perfectly healthy after a good night’s sleep. However, advising us of any upsets the night keeps us more alert to any additional signs of sickness your child displays during the day. Will my child be well enough to comfortably and happily participate in the activities of the day? Will they be able to care for my child without it affecting their ability to look after the other children? Will my child pass the illness on to their playmates if I send them in today? A temperature and/or fever accompanied by a behaviour change and other signs of illness such as lethargy, persistent crying or breathing difficulties. Signs of severe illness such as uncontrolled coughing, breathing difficulties, wheezing, persistent crying and/or lethargy. A respiratory illness such as bronchitis or influenza. Vomiting, once a child has vomited, most doctors recommend that they should not return to child care for a minimum of 24-48 hours. Any sort of rash, especially when accompanied by a fever or behaviour change. 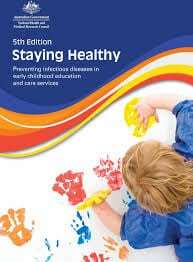 Children with chicken pox can return to child care on the sixth day after their rash appears. Children with impetigo can return to care 24 hours after starting a course of antibiotics and children with scabies can return to preschool or day care after they’ve been treated. Mouth sores that cause drooling. 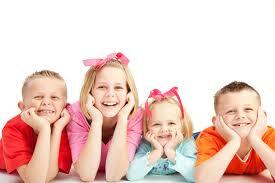 Head lice, your child can return to child care after treatment. Bacterial conjunctivitis and yellow discharge from the eye. Your child can return to child care 24 hours after starting a course of antibiotics. Good healthy eating, physical activity and rest certainly help keep everyone healthy. 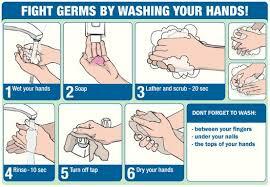 Preventing the spread of germs is a key part in avoiding the spread of illness. We have clear policies outlining the steps it takes to encourage good hygiene among the children. However, good hygiene starts in the home and it is worth teaching your child good habits from as early as possible. Encouraging your child to adopt the good habits listed below will definitely slow the spread of germs and will hopefully reduce the likelihood of illness. 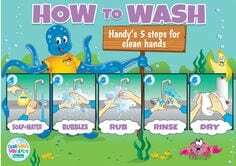 Wash your hands regularly; while most children are taught to wash their hands after going to the toilet, children should also be encouraged to wash their hands when they are dirty, before and after eating, after messy activities and when they do anything which puts them in contact with potentially germy objects such as animals. Cover your mouth when coughing; uncontrolled coughing and sneezing quickly spread germs around an area. Children should be taught to cover their coughs with whatever they can, while a tissue might not be handy when the urge to cough comes on, children can cough in to their hands and wash them or in to the crook of their arm or sleeve. Avoid close contact with sick people; when someone in the family is sick make sure the above two rules are strictly applied so as to avoid the spread of germs within the family. Children in child care are more susceptible to winter colds and ‘flu because they are in close contact with other children on a regular basis. While it might be tempting to dose your little one up with the latest potion available at the pharmacy, it might be more effective to try cuddles, liquids and plenty of bed rest. Research conducted by American think-tank, the Cochrane Library, has recently shown that many of the cold and flu remedies promoted as beneficial for children actually have little or no effect. The research included a review of devices which change the air in your child’s room such as dehumidifiers and vaporisers and found there was no evidence to prove they work. The researchers also looked at cough medicines containing antihistamines and found that there was no difference in the recovery rate of children treated with the medicine and those that weren’t. The research concludes that winter colds and ‘flu simply have to be put up with and that children who are generally healthy will recover of their own accord in a few days. Giving your child a paracetamol such as Panadol if there are aches or pain. What do you do with the kids when they are sick? It is important to think about a course of action in this situation before it arises and line up help as a back up. Having a contingency plan in place will save you time and energy, not to mention a lot of stress! 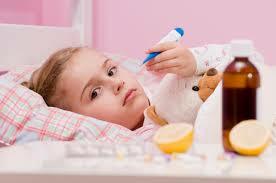 Take turns staying home with sick children when necessary. You may also be lucky enough to have parents or in-laws living in the area. You will be surprised at how wonderfully supportive they can be. If possible, don’t call on their help for the whole day, maybe just a few hours to handle the important matters at work and then work from home if necessary. Talk to neighbours who are stay-at-home mums or family members. You may be pleasantly surprised how many people are willing to help out in this situation. 2.1.2 Health practices and procedures. 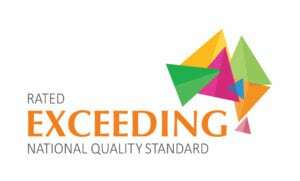 Effective illness and injury management and hygiene practices are promoted and implemented. At Kids College we work each day embedding our values and philosophy into each facet of what we do. We continually improve our practices by critically reflecting and engaging in meaningful relationships with our community and for this we need your support and input. Please let us know if you have any comments, queries or recommendations.